In the midst of juggling busy personal and professional lives, finding the time to fit in enough activity and exercise with your dog every day can be a challenge. Even dogs that are physically active often lack opportunities for mental exercise. In this workshop, you’ll learn simple, fun and creative ways to meet your dog’s needs when you’re short on time and how keeping your dog busy, benefits not only for their mental and physical health, but also helps reduce and prevent common behaviour problems such as excessive barking, digging, destructiveness and anxiety. Various types of enrichment and how it can help with common behaviour problems such as destructiveness and separation anxiety. Learn simple, fun and creative ways to meet your dog’s needs when you’re short on time! Just yourself and a love for all things dog! Please leave your dog at home for this one. 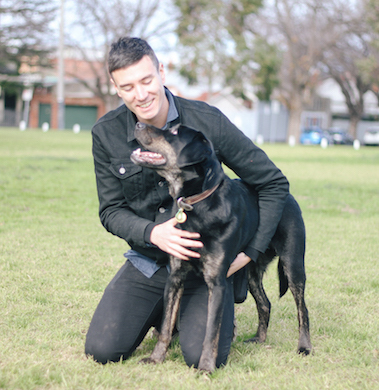 Tim Watson is the owner of Good Dog Behaviour & Training, which offers private dog training services to inner Melbourne & Surrounds. Tim completed his studies in canine psychology and behaviour in 2013 and is passionate about helping people build fun, cooperative relationships with their dogs. Tim is a Victorian Govt Approved trainer and regularly attends seminars both locally and overseas including the USA where he trained guinea pigs.